Almonds are one of the healthiest nuts.They are loaded with unsaturated fats, high-quality vegetable protein, fiber minerals,vitamin E and trace minerals such as magnesium, due to their nutritional composition they are known as energy boosters. Almonds are equally nourishing weather you consume them raw or soaked. All you need to do is to handful almonds in your morning breakfast. You can either soak them in water overnight or add crushed almonds to your morning salad or even use it to garnish your dishes. 2. 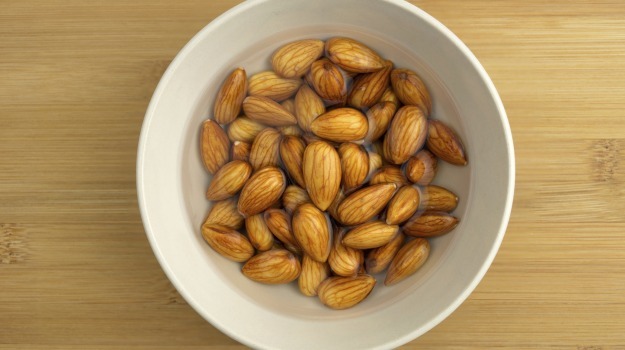 Soaked almonds are rich in vitamin b17 ,which have cancer fighting properties. 3. 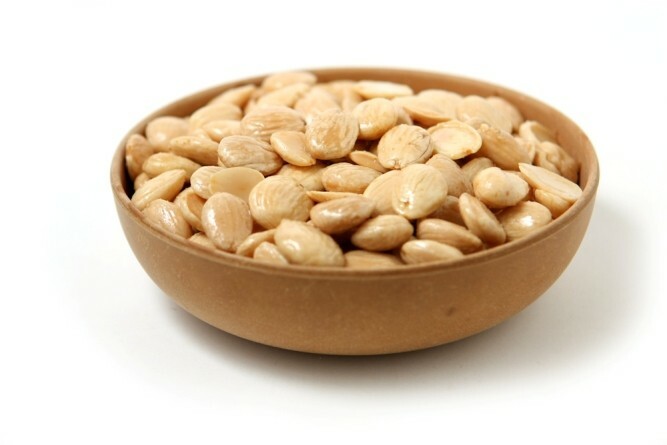 Soaked almonds release the enzyme lipase which helps in digestion of fats. 5. The insoluble fiber present in almonds binds to bile acids in the gut and remove the gallstones from the body. 6. Magnesium and calcium found in almons strengthen the bones and prevent osteoporosis. 7. Monounsaturated fat in almonds has been associated with a reduction of bad LDL cholesterol levels and lower risk of heart disease and breast cancer for women. 8. Almonds are helpful to regulate the blood sugar because they are low in carbohydrates but high in healthy fats, proteins and fibers ,hence they are good for diabetic patients. 9. Almonds are low in calories but high in fibers and proteins ,so they are capable to stisfy your hunger and makes you feel fuller thus helps to reduce weight. 10. Almonds are high in antioxidants that helps protects the skin cells from oxidative damage ,which is a main cause of ageing. 11. Almonds are great source of vitamin E which is vital for healthy skin, nails and hair. 12. Almonds are loaded with magnesium . Which helps to control hair fall and maintain the long healthy shiny hair. Deficiency of magnesium causes the premature balding. 13. 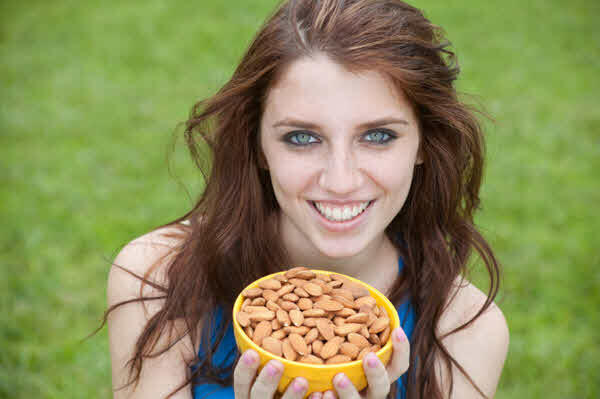 Almonds contains vitamin B which helps to prevent split ends and fizzy hair. 14. 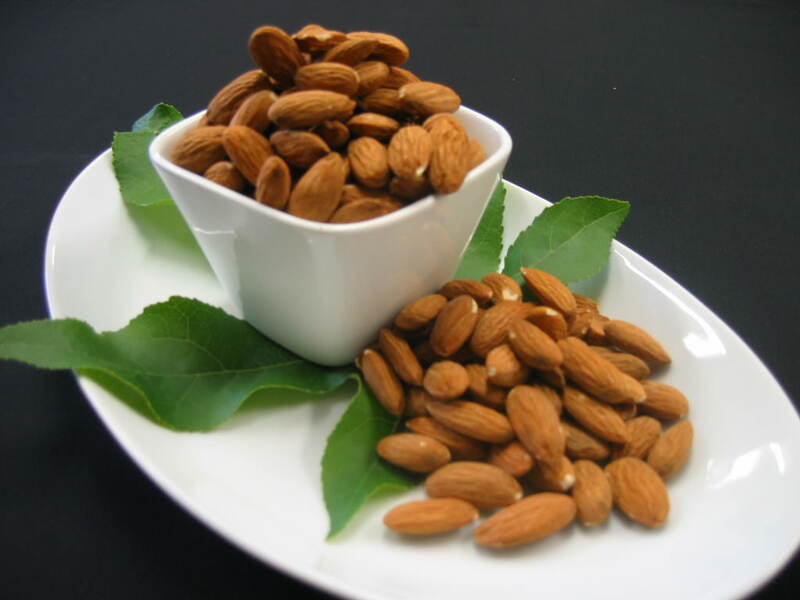 Folic acid found in almonds prevents the birth defects. 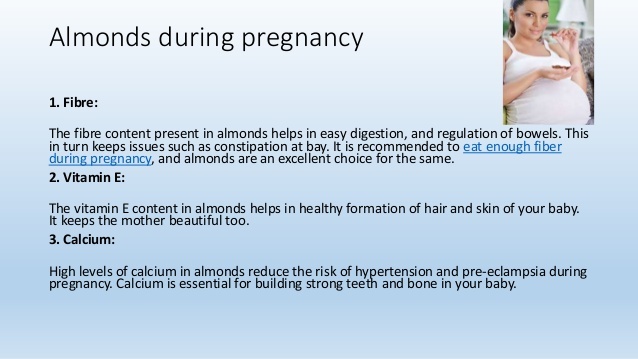 So almonds are good choice for pregnant women. So add add almonds in your daily diet and stay healthy. This entry was posted in Home Remedies and tagged Beauty, Hair care, Health, nuts, skin care, weight loss. Bookmark the permalink.